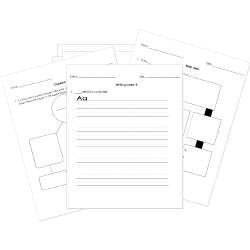 You can create printable tests and worksheets from these Grade 5 A Christmas Carol questions! Select one or more questions using the checkboxes above each question. Then click the add selected questions to a test button before moving to another page. When did Marley say that the first ghost would visit Scrooge? The next day, when the bell tolled "One." What happened RIGHT AFTER the ghost of Marley removed the bandage from his head? He lower jaw dropped to his chest. Scrooge became afraid and hid under the bed. What did Scrooge see when he looked up at the bell? He saw the bell swinging and ringing. He saw the bell illuminate. He saw the image of Marley.